As we study the impact of our two big projects in Zambia – developing the market for Oral Rehydration Salts and Zinc for childhood diarrhoea – uppermost in our mind is one word: ‘self-sustainability’. OK, maybe that’s two words. Put it another way: Have we done enough in Zambia to establish the award-winning Kit Yamoyo (or ‘aidpod’ as we originally called it, seven years ago) in the market, permanently, as a self-sustaining product? Kit Yamoyo is now locally and profitably manufactured, by our partner Pharmanova. It’s sold across the country in Shoprite supermarkets, pharmacies and small shops. Community shop-keepers we have trained now match health workers, in their knowledge of diarrhoea prevention, danger signs and how Kit Yamoyo is used. What more can we do? Last week, we went to see the new Minister of Health in Zambia, Dr Chitalu Chilufya. 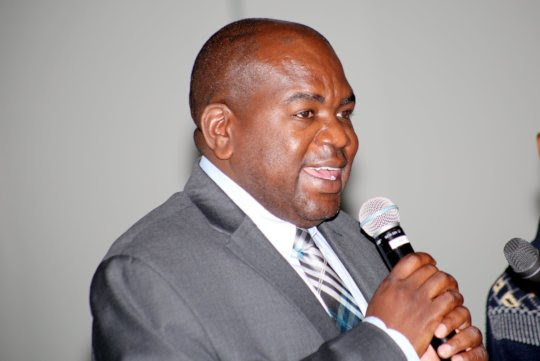 Dr Chilufya hails from one of the very poor areas of the capital, Lusaka, where we work: Kaunda Square. We’ve trained over 750 small shop keepers in Lusaka’s slums, including Happy Mwenge, whose small shop is in Kaunda Square, near the heatlh centre. He was delighted to report he’d sold five kits in the week of our last visit, in January. 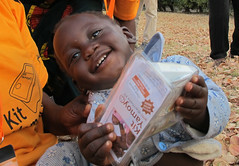 We hope we’ve done enough to encourage small retailers like Happy to keep selling Kit Yamoyo. But we’ve also been busy interviewing health professionals in remote rural areas, where health centres have been distributing a free, government-funded version of the kit. Time and again we heard the same message. In the short term, ColaLife can help fill the gap in public sector supply through two corporate donors: Everly and Norr, as well as the all-important donations from you, our Global Giving supporters. But for the longer term, the Health Ministry has to step up. So, we’re taking the message from the field to Dr Chilufya. Will he make a small but very significant policy change in Zambia: to include co-packaged ORS and Zinc on Zambia’s Essential Medicines List? This is the list that guides Health Ministry procurement, that donors buy from and that influences charities working in health. A ‘model list’ at international level also guides countries globally, so we have also convened an international team to lobby the World Health Organisation – WHO. We’ve been told they welcome requests and evidence from individual countries. 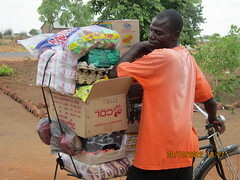 Thanks to people like the nutritionist, Mr Simpasa, shopkeeper Happy and your help with donations – we have the evidence!